If you are a follower of social media news, I’m sure you didn’t miss all of the discussions about the FTC announcing guidance for bloggers having to disclose any freebees they receive from companies. It’s been a hot discussion topic across blogs, the advertising industry and major media outlets. In fact, if you want to understand the topic better than I can ever describe it, checkout the New York Times article discussing not only the impact on bloggers but what it means for traditional media too. A lot of this issue has surrounded bloggers being singled out for receiving swag, while magazines, newspapers and TV reviewers get all kinds of products free to review from manufacturers. With the new rules, many bloggers feel the FTC guidelines (they are not laws) unfairly make bloggers the target of government regulations for a practice traditional media has taken part in for decades. 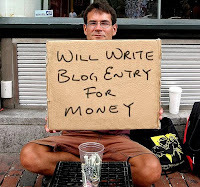 This is a valid concern, but what does this mean for the automotive industry and its use of bloggers? After a couple weeks digesting the FTC rules many feel they are meant as self-policing regulation to show that the government will take violations that mislead customers seriously, but most of the change will be an industry understanding of how to behave with consumer interests in mind. Doing proper disclosure is a good thing as is properly making well-informed statements about products being reviewed. In a recent addition of the marketing Podcast The Bean Cast, host Bob Knorpp shares his email exchange with advertising lawyer Michael McSunas about when such a fine would occur. Many feel, as reported in last week’s Agency Spy blog, that the FTC sets up these rules as a guideline and never enforces the compliance with a fine. McSunas feels a fine would only be sought if the violation was for "deceptive practices or maybe a complaint." This is probably correct but of course it’s an educated assumption until we see the FTC take action or no action. 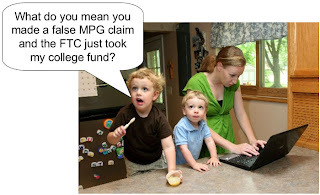 Regardless of when or if a fine will ever be levied, the FTC rules have caused a bit of a panic for bloggers who don’t want to face government fines after possibly inaccurately reviewing the latest hybrid car or family minivan. It’s also caused concern for marketers who don’t want to be a case study for the FTC and want to make sure no inaccurate statements are made about their products, so it creates an issue for them to now review everything written about them that they send for review to a blogger. This issue is fare more concerning than the disclosure rule a blogger is supposed to make for receiving any item to review. For those who may not know, automakers must legally confirm competitive statements like best mid-size sedan fuel economy or roomiest third-row. Of course, some claims are utter nonsense since companies choose who is in their segment, though it does have to be within reason. Also claims can select what they want to compare against, like using highway mileage instead of combined mileage or vice-versa to show a competitive advantage. With bloggers, the concern is a possible lack of depth within a particular industry of products where a blogger may claim something like “wow this car has the most roomiest interior of any SUV.” False claims like this now have federal oversight from the FTC that may cause reluctance from a corporate lawyer reviewing a blogger outreach campaign. So, the big question is will fear of inaccurate statements by bloggers reduce company participation in social media? Don't know. Maybe in the near-term, but I doubt long-term since companies and bloggers will learn how to comply with the FTC rules and some initial hysteria may dissipate over time. If this is about consumer protection and less about collecting fines, the FTC rules should be welcomed as it shows blogger importance has reached a level worthy of attention. There have been marketers like Sony who have created fake bloggers to write about the PSP. Other issues have been companies outright paying for positive reviews. Something had to be done to handle the few violations of public trust. My experience in automotive is that it is quite clear when a blogger is given a car to review and from where that car came from. So disclosure is already being done. Claims are the more pressing concern and may lead to additional materials being presented to bloggers at the time a vehicle is offered for review. Hopefully, the FTC rules will remove any suspect social media campaigns that create fake bloggers or do payola deals. Also, I believe we’ll see the rules in action by their inaction and how this may do very little to change what is going on today on most blogs. Sure we’ll see some more emphatic statements about how a blogger received a product, but beyond that the impact should be minimal and the working relationship with bloggers and auto manufacturers and dealers a continuing positive experience for all. Finally, this blog post was sponsored by Gas Station Coffee for when you are too lazy to brew your own or walk 1 minute to the nearest Starbucks.